This unit is designed to be used the 3 weeks before Thanksgiving. 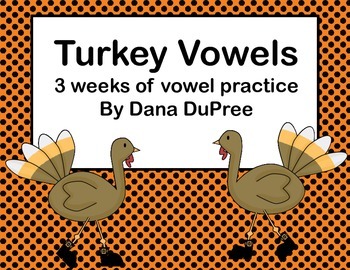 I like for my students to do the same type of activities for several weeks. It makes for great practice. 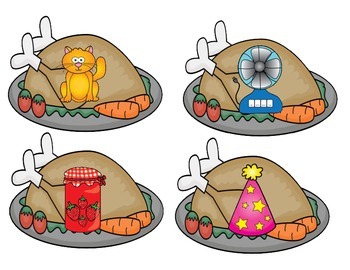 Students will pick a turkey card. They will look at the picture then determine the middle sound. 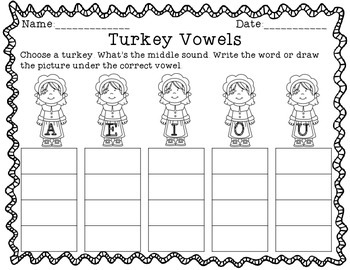 The student will then place the turkey on the girl with the matching short vowel sound. On the handout students can draw the picture or write the word depending on their ability. You may choose which set to print and laminate the color or the black and white. They are both the same. 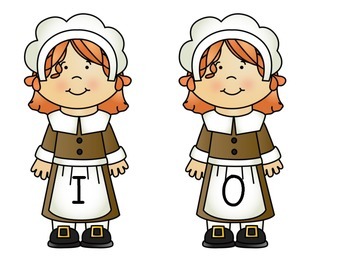 Once cards are laminated choose 4 from each vowel group. Place in a center with the handout. Change out the cards at the end of the week.